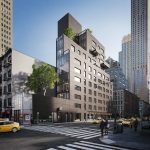 New York City-based real estate development firm Cogswell Lee Development, in partnership with visionary architect/developer GLUCK+, is pleased to announce the sales launch of 150 Rivington. 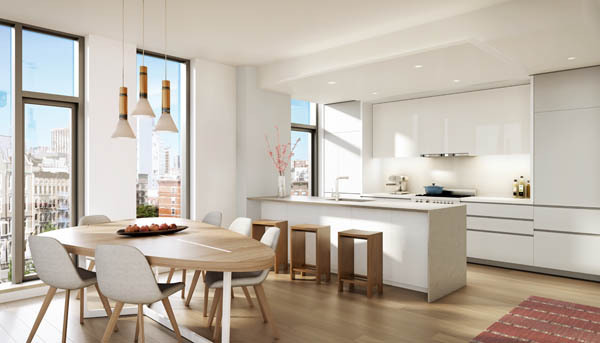 Poised on a remarkable corner site with endless light and air in the heart of Manhattan’s Lower East Side, the modern, innovative design offers 45 thoughtfully crafted one- to three-bedroom condominium residences with smart technology and versatile living spaces. 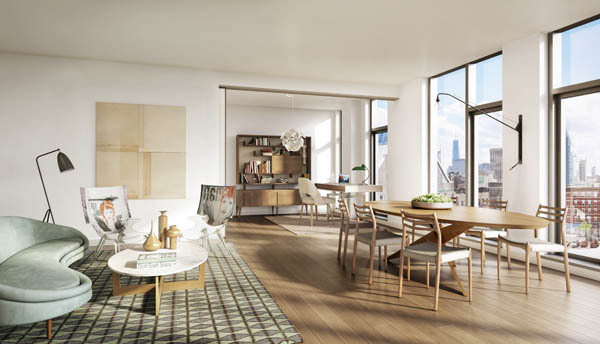 Located on a quiet, tree-lined street, the residences at 150 Rivington range in size from 543 square feet to more than 1,600 square feet. 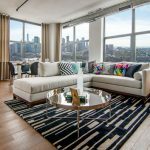 One-bedrooms start at $995,000; two-bedrooms at $1.695 million; three-bedrooms at $2.75 million; and three-bedroom penthouses at $3.8 million. 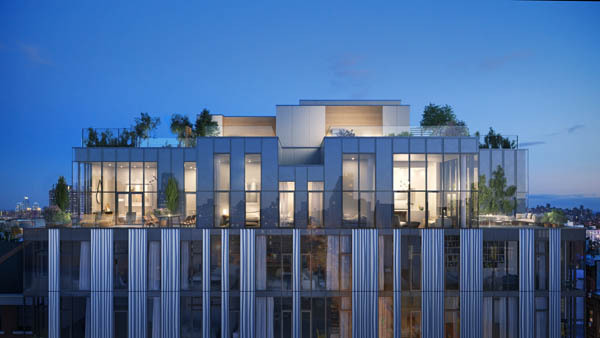 Of the 45 homes, four will be penthouses with 12’9” ceilings and dual outdoor space – one adjacent to the living space, and the other on the roof. Completion is expected first quarter of 2018. 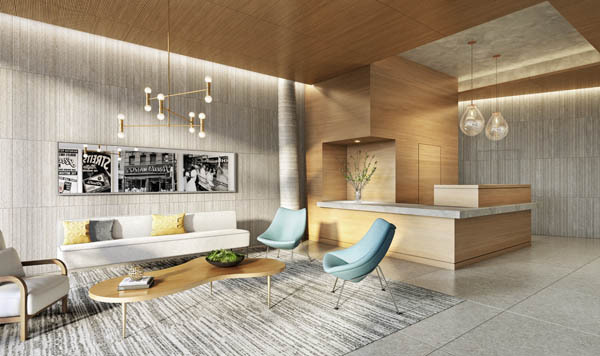 Indoors, all the apartments are Creston-ready, giving homeowners the ability to control lighting, music, power shades and more in their own apartment through the home automation system. 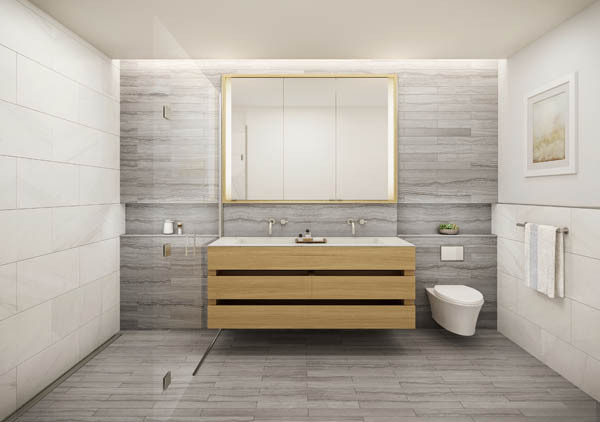 Residences also feature Italian, custom-made translucent sliding-glass doors by Rimadesio, which capitalize on both privacy and space. 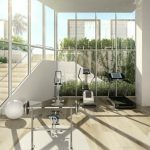 The state-of-the-art building features a sophisticated lobby with a 24-hour attended lobby, superintendent and porter services, a package room, cold storage, bicycle storage and a fitness center. 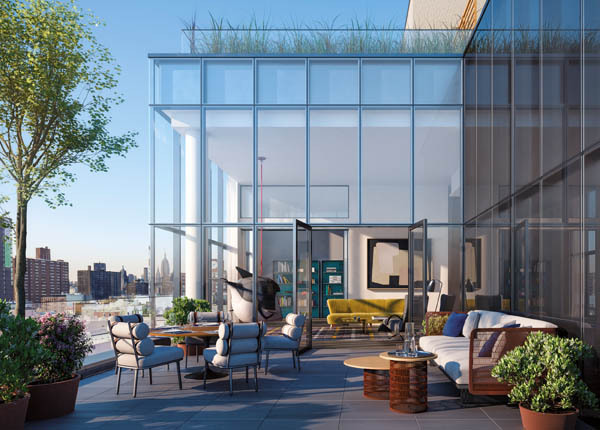 Ample north and south shared roof terrace space – more than 1,500 square feet combined – will be designed to incorporate various lounging and entertainment gathering spaces, including an outdoor kitchen, fireplace and a separate sun deck for yoga. Additionally, there will be more than 12,000 square feet of retail on the ground floor. An eclectic neighborhood that has emerged from immigrant roots, the Lower East Side is home to some of the city’s most beloved institutions including Russ & Daughters Café, Economy Candy and Clinton Street Baking Company. 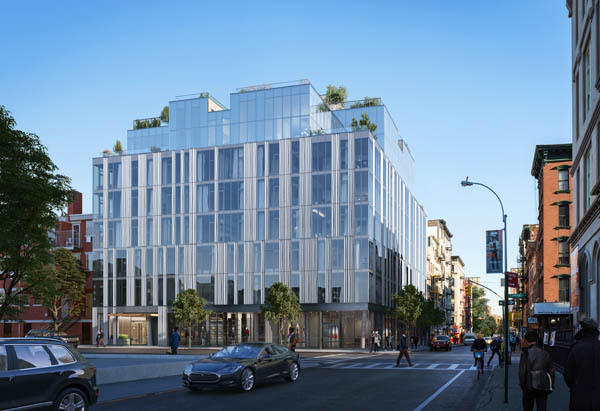 150 Rivington is located in close proximity to vast transportation options including the J/M/Z and F subway lines, and the Williamsburg Bridge. Cogswell Realty LLC, an owner, manager, and developer of over $750 million in commercial and residential properties since 1996, and the New York office of Lee & Associates, a national member-owned commercial real estate company formed in 1979, teamed up in 2014 to pursue acquisition and development opportunities in the New York City metropolitan area. 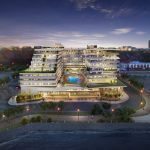 Since partnering, the Cogswell Lee Development platform has acquired $340 million in commercial real estate assets, and its affiliated entities manage over 1 million square feet of office, retail and residential space. 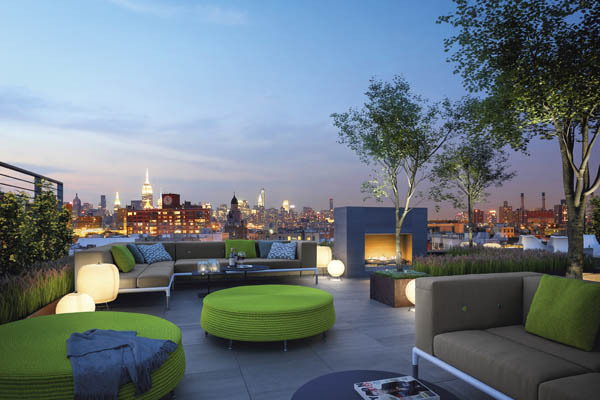 GLUCK+ is an internationally renowned architecture and construction firm located in New York City. The work is diverse and recognized worldwide through national and international design awards and publications. 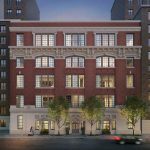 The range of projects–from houses, schools, religious buildings, community centers to hotels, university buildings, recreation centers, and historic restorations—are all unique, each a specific response to client needs and site conditions. 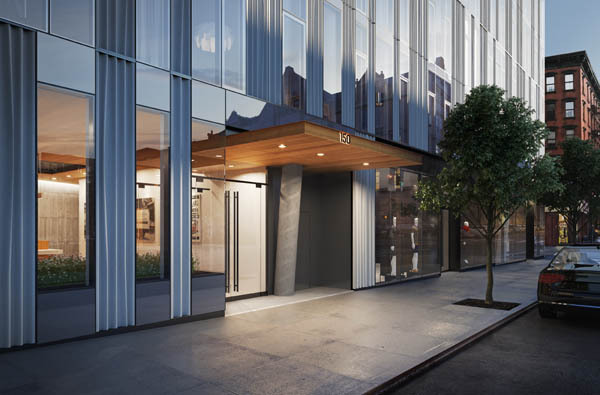 Stribling Marketing Associates is one of the most respected and successful development marketing groups in Manhattan, specializing in consulting, marketing and sales of new developments and conversions. 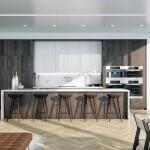 With over twenty-five years of experience, the Stribling Marketing Associates team has represented some of Manhattan’s most architecturally significant properties, including The Plaza Private Residences, Philip House at 141 East 88th Street, 252 East 57th Street, 130 West 12th Street, Devonshire House at 28 East 10th Street, 210 West 77th Street, 221 West 77th Street, 360 Central Park West, 151 East 78th Street, The Shephard at 275 West 10th Street, 508 West 24th Street, One Vandam, 211 Elizabeth Street and numerous projects in Brooklyn.